I finished this little quilted pillow last week. I started it in a workshop with Mary Lou Hallenbeck in November 2010. Mary Lou demonstrated her technique for appliqueing bias strips in Celtic patterns. 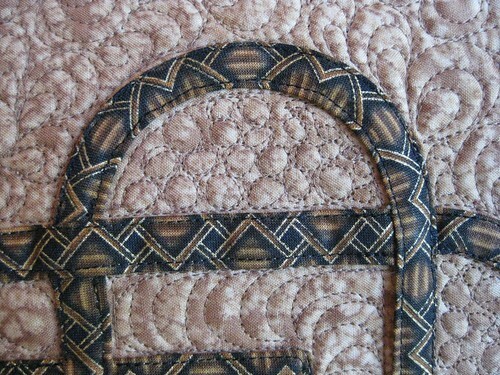 Close-up of appliqued strips going around a tight curve. 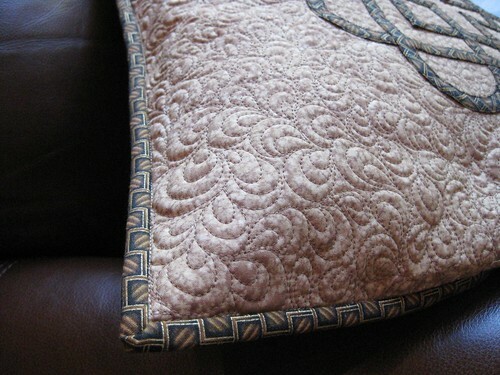 Close-up of the free motion quilting. 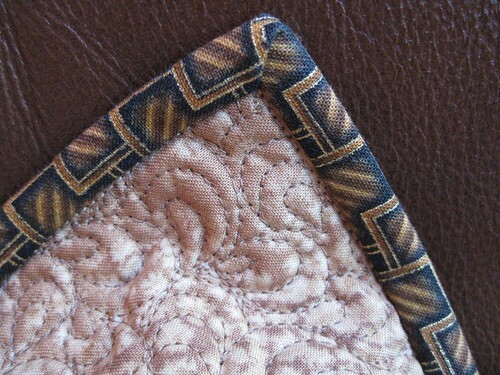 Close-up of the binding. I sewed the binding by machine with the final stitching “in the ditch” from the right side. I think the quilting looks nice especially in the right light! 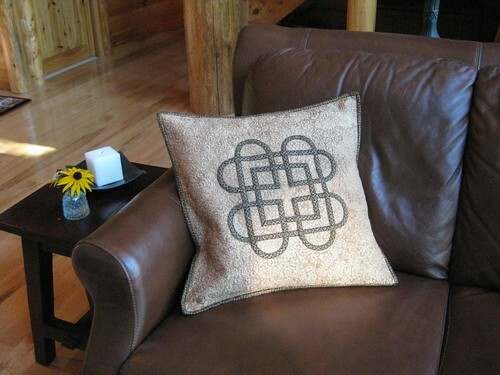 This entry was posted in Celtic Pillow, Celtic Pillow, Quilting. Bookmark the permalink. I love that we can make our own bias tape from our favorite fabric! 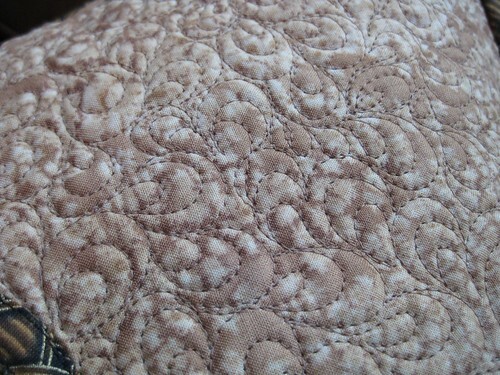 I love the paisley quilting too! It’s my favorite! Wonderful pillow!